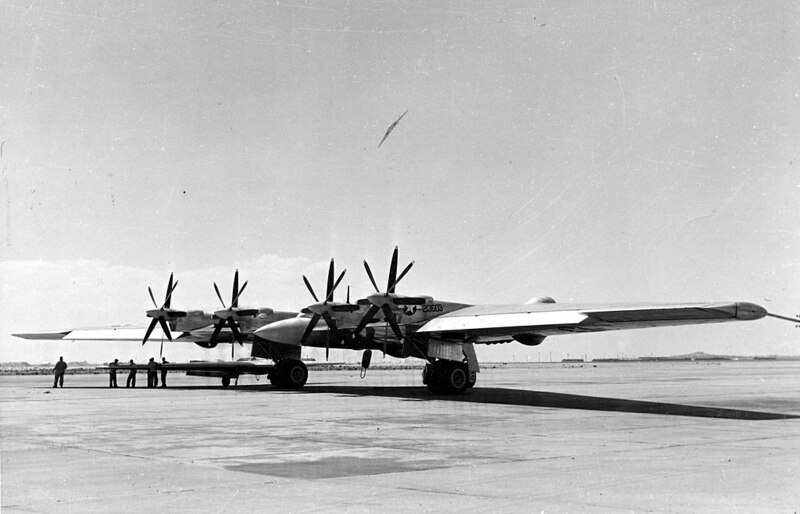 Conceived by Jack Northrop as a large wing-only, long-range heavy bombers, the Northrop XB-35 and YB-35 were experimental airplanes developed by the Northrop Corporation for the U.S. Army Air Forces (USAAF) during and shortly after World War II. 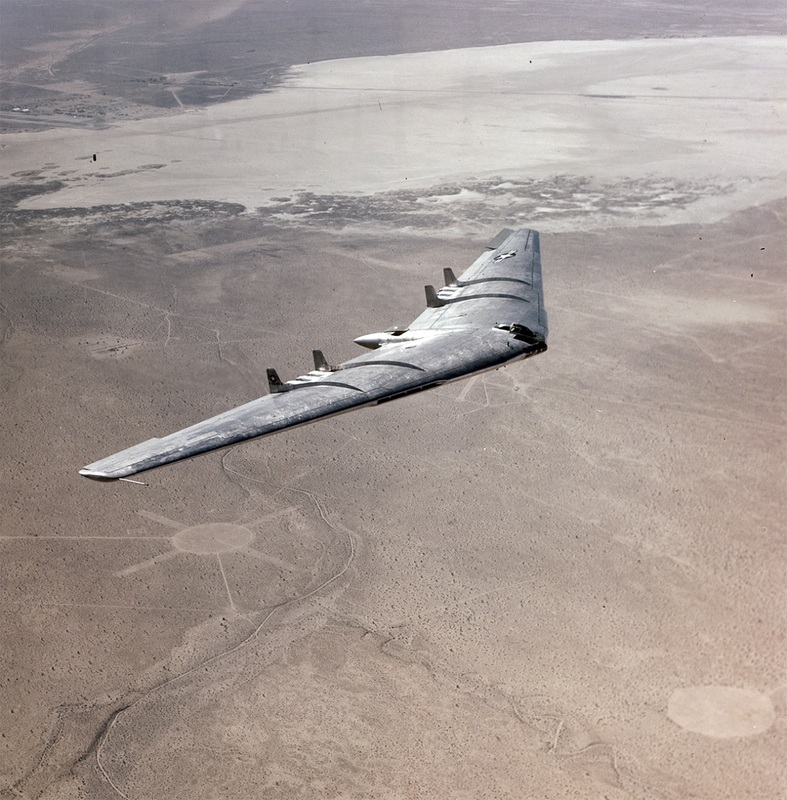 The aircraft used the radical and potentially very efficient flying wing design, in which the tail section and fuselage are eliminated and all payload is carried in a thick wing. Only prototype and pre-production aircraft were built, although interest remained strong enough to warrant further development of the design as a jet bomber, under the designation YB-49. In fact two YB-35s were modified by replacing the four Pratt & Whitney R-4360 radial engines driving dual contra-rotating propellers with eight Allison TG-180 (J35) turbojet engines. USAAF approved the change order in Jun. 1945 for the conversion program. Besides the jet engine installations, other modifications included the addition of four vertical stabilizers (two on each wing installed on both sides of the jet engine exhausts). The wings were fitted with four air dams extending forward from the vertical stabilizer to minimize the airflow down the swept wing (reducing lift) rather than over the wing. The completed aircraft were redesignated YB-49. 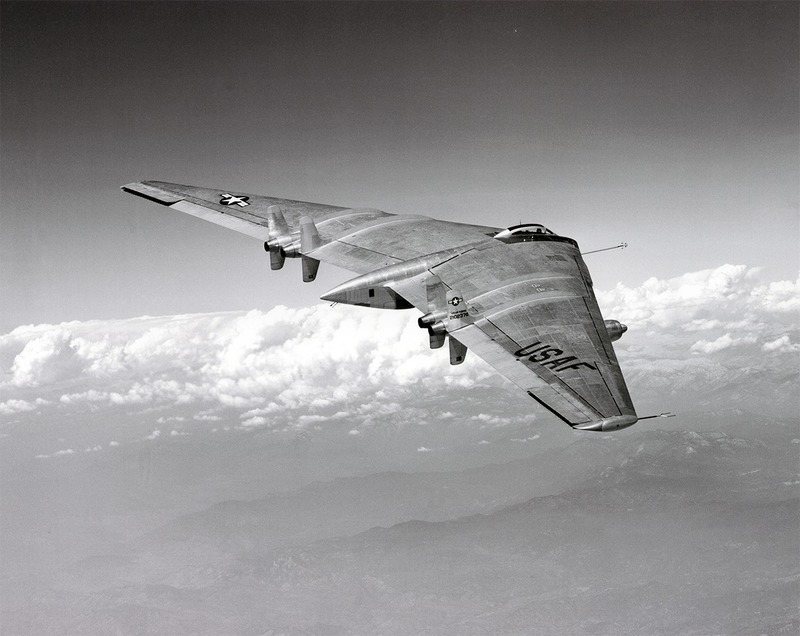 The first aircraft conversion project took about two years and the aircraft was ready for flight testing in Oct. 1947, with the first flight of YB-49 No. 1 (S/N 42-102367) that took place on the Oct. 21 of that year. 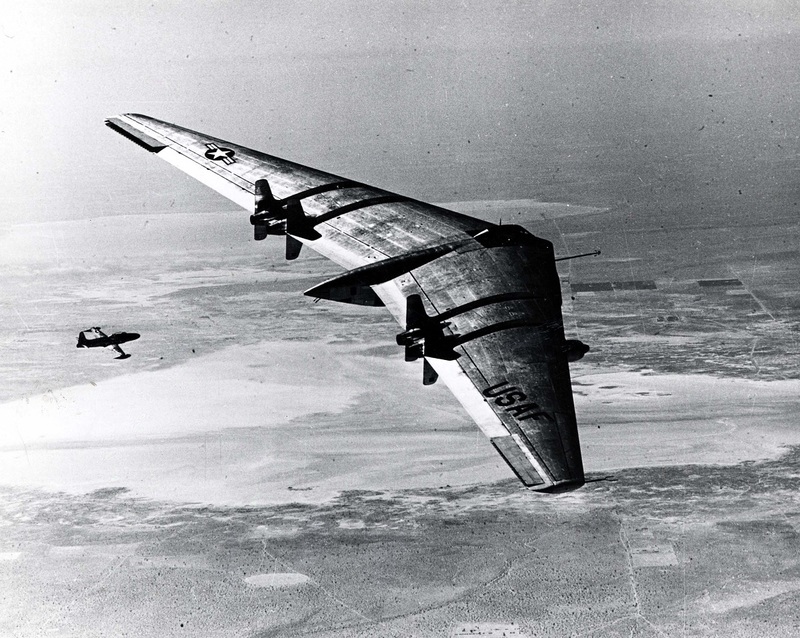 Results of flight testing showed generally good performance; however, stability during simulated bomb runs and political problems doomed the flying wing. The second aircraft was ready for its first flight on Jan. 13, 1948 and testing continued with both aircraft until the second YB-49 crashed on Jun. 5, 1948. YB-49 No. 2 in fact was undertaking its 25th test flight when it went out of control and crashed about 10 miles northwest of Muroc Air Force Base (AFB). The aircraft was testing stall recovery performance when it suffered a catastrophic structural failure with the outer wing panels tearing off. The crew on the ill-fated mission included Maj. Daniel H. Forbes Jr., pilot; Capt. Glen W. Edwards, copilot; Lt. Edward L. Swindell, flight engineer; Clare E. Lesser and C.C. La Fountain. Later, two Air Force installations were renamed in honor of the pilots who lost their lives with the aircraft. Edwards AFB, Calif., was named in honor of Capt. Edwards, and Forbes AFB, Kan., was named in honor of Maj. Forbes. 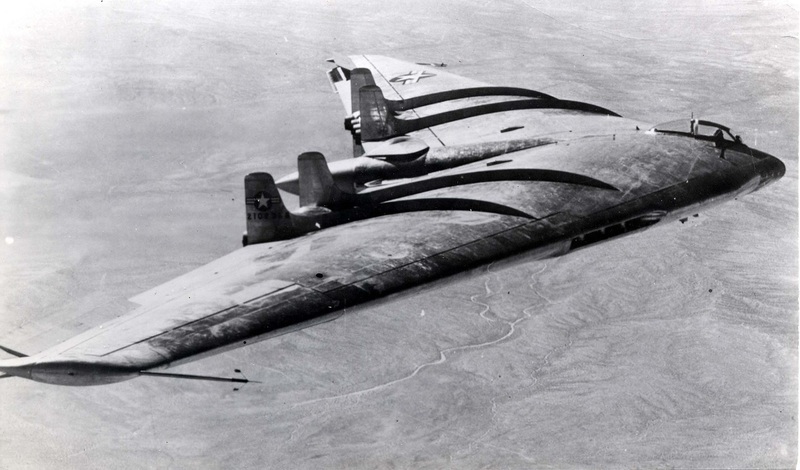 After the crash of the second YB-49 prototype, the remaining aircraft was modified with additional flight performance measuring instruments before tests were resumed. On Mar. 15, 1950, an Air Force crew was testing the aircraft stabilizer response during a high speed taxi run when the nose wheel began a violent shimmy. Before the aircraft could be brought under control, the nose landing gear collapsed and the No. 1 YB-49 broke in two and was destroyed. 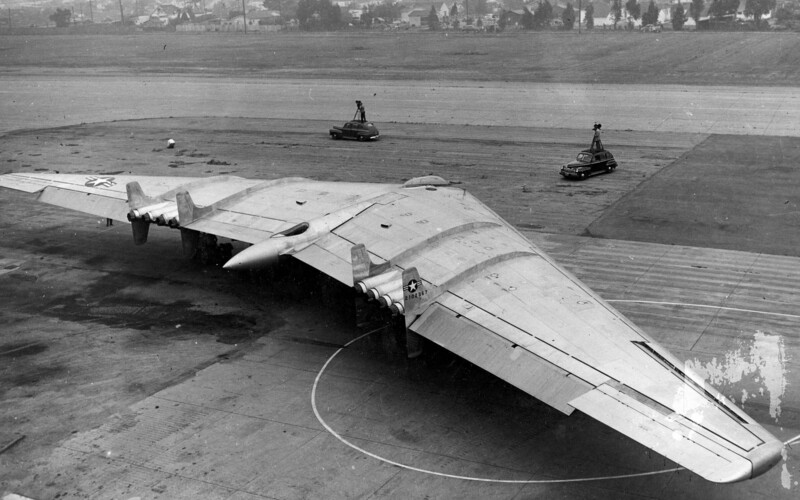 Noteworthy Northrop developed also a reconnaissance version of the YB-49, named YRB-49A, whose sole prototype made its first flight from Hawthorne, Calif. to Edwards on May, 4, 1950. Testing ended on this aircraft nearly one year later and after only 13 flights. 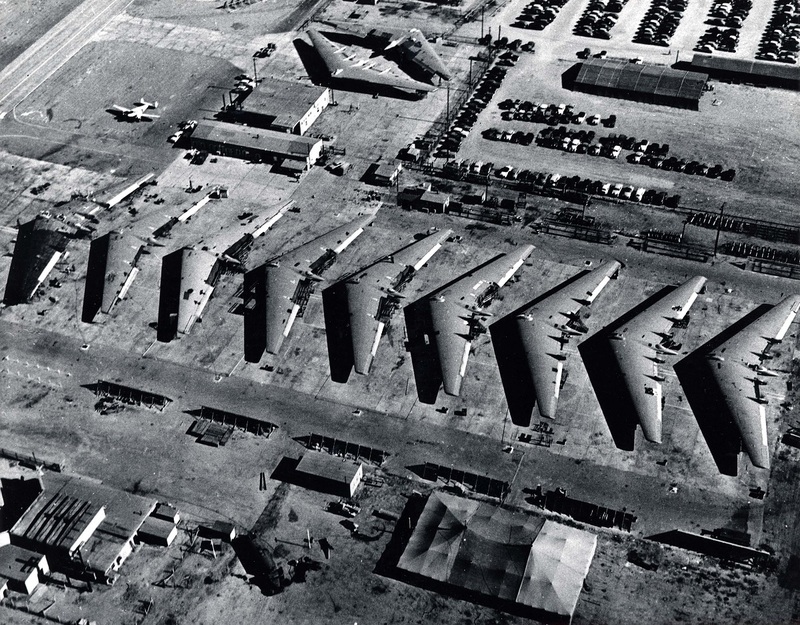 After the YRB-49A was scrapped in late 1953, the flying wing bomber concept would remain dormant until the appearance of the Northrop B-2 Spirit stealth bomber nearly 40 years after the last flight of the YB-49.